FUEL EFFICIENT 37 MPG Hwy/25 MPG City! CARFAX 1-Owner, ONLY 23,150 Miles! 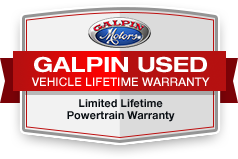 Leather Seats, Sunroof, Nav, Satellite Radio, iPod/MP3 Input, Onboard Communications System, Premium Sound System, Alloy Wheels, Turbo, Back-Up Camera, PowerLife Limited Lifetime Warranty. Leather Seats, Navigation, Sunroof, Back-Up Camera, Turbocharged, Premium Sound System, Satellite Radio, iPod/MP3 Input, Onboard Communications System, Aluminum Wheels, Keyless Start, Dual Zone A/C, Brake Actuated Limited Slip Differential, WiFi Hotspot, Lane Keeping Assist. MP3 Player, Keyless Entry, Steering Wheel Controls, Child Safety Locks, Heated Mirrors. Volvo T5 Drive-E Platinum with Black Stone exterior and Off-Black interior features a 4 Cylinder Engine with 240 HP at 5600 RPM*. PowerLife Limited Lifetime Warranty. Edmunds.com explains "As you would expect in a Volvo, both the standard front seats and the optional sport seats offer excellent long-trip comfort and proper support.". Great Gas Mileage: 37 MPG Hwy.